Your opinion matters. 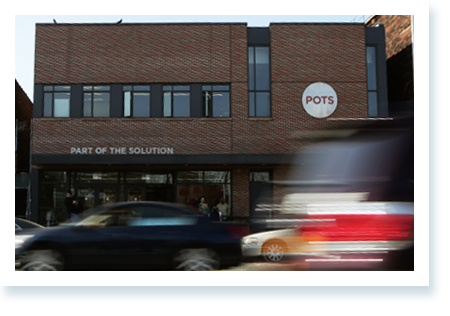 Leave your review of POTS Part of the Solution. Description: Soup Kitchen. Sit down meal where the clients are served. 12:30pm - 3:30 pm daily. - Community Dining Room. Come in Monday through Friday 9:00-12:00pm and Wednesday 4:30-6:30 to register to shop in our Food Pantry. Food Pantry services are available on a monthly basis to households in the following zip codes: 10453, 10457, 10458, 10460, 10463, 10467, and 10468. Do you have items to donate? Contact POTS Part of the Solution at the phone number provided above to see if they can use any items you may have to donate. If you are looking to volunteer for Thanksgiving or any other time, please contact POTS Part of the Solution at the phone number provided above.